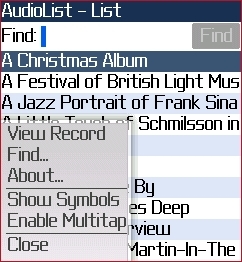 Music list with Find feature. 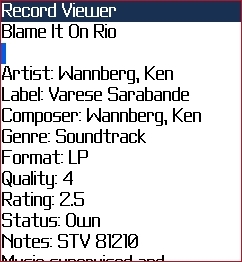 View details for any record. enter song and track titles as well.